So many students visit the art room each day to share fabulous artwork that they make at home. When I ask them if they will be uploading their work to their Artsonia galleries, they usually say, "I don't think my parents know how". for awhile now. Mrs. Snyder was kind enough to answer a few questions so that you can learn more about how this works from a parent's perspective, and both Libby and Mrs. Snyder created a wonderful tutorial video for you too (see below). Question 1. Can you describe how you used the Artsonia app to upload Libby's artwork to her gallery (step by step)? Answer: Step 1 Go to iTunes and download Artsonia app (It’s free)! Step 2 Sign into the app using your login information from the Artsonia website. Step 4 The artwork is now uploaded, and you can edit it, rotate the image, crop it, straighten or brighten it. Step 6 Select artist name and grade then click “Publish”. The artwork shows up in the artist's gallery in a day or two. Question 2. How long did it take you to upload Libby's artwork to her Artsonia gallery? Question 3. How difficult is it to upload artwork using the Artsonia app? Answer: It is not difficult at all to upload, quite the opposite. The ability to use my smartphone to take the picture makes it super convenient. I don't download pictures from my camera often enough so if I had to use a camera, download to a computer then upload to Artsonia, I don't think I'd ever get around to it, but using my phone makes it very easy (and Libby very happy). Question 4. Why did you take the time to upload Libby's independent artwork to her gallery? Answer: I took the time to upload it because I actually stumbled upon the app thought it was interesting and downloaded it. When I told LIbby she got excited and wanted to me to upload the artwork, so we did. Question 5. How do you think your participation in helping Libby's gallery to grow will benefit Libby? Answer: I think my participation in uploading LIbby's artwork to the gallery has shown her that I am interested in her artwork and made her more excited about doing art projects at home. She is already creating new things she wants to upload. Question 6. What advice would you offer other parents who would also like to upload the artwork their child creates at home to Artsonia?Answer: Advice I would give other parents is it is so easy and takes no time to upload and then the whole family can enjoy seeing all of your child's creations. My sister lives far away and she would rarely get to see any of the projects the kids work on, but when it is there on the computer she can share and comment on. Both my girls, Libby and her sister Maddie love hearing all of the comments everyone leaves about the artwork. Thank you Mrs. Snyder and Libby for sharing your uploading tips and tutorial! The deadline to submit the art page for the yearbook is Thursday. I am relieved to have finished it tonight! Take a peek. Over the summer, Mrs. Dovas, Mrs. Fine-Mihalko, and I planned for this collaborative project. It is based on the book, The Monster Engine. The Monster Engine has grown into an internet phenomenon. It is a book, a demonstration, lecture and a gallery exhibition. The premise for all three came from one single question: What would a child’s drawing look like if it were painted realistically? It began at the Jersey Shore in 1998, where Dave DeVries' niece Jessica often filled his sketchbook with doodles. While he stared at them, he wondered if color, texture and shading could be applied for a 3D effect. As a painter, he made cartoons look three dimensional every day for the likes of Marvel and DC comics, so why couldn't he apply those same techniques to a kid’s drawing? The above text is quoted from The Monster Engine Website. In the beginning of the year, B.A. Kindergarten artists view drawings from the book and drew their own monsters. Each 8th grader in Mrs. Dovas' classes and each 6th grader in Mrs. Fine-Mihalko's classes received a copy of the B.A. Kindergarten monsters. They observed the drawings and created clay sculptures in their likeness. This collaboration is allowing artists in our district to be inspired by each other and gain an appreciation for the talents they start to hone in the beginning of elementary school art classes through middle school. Video soon to follow featuring the sculptures created by Mrs. Fine-Mihalko's students! See all of the drawings and sculptures in our Artsonia galleries! The Duct Tape Trend is "Sticking" at B.A.! See How it Started! A couple of months ago, Caroline (4th grader) approached me in the hallway to show me the awesome duct tape bracelets that she had made. I asked her if she wanted to be a guest artist and teach her class how she made it, and she was thrilled to do it. Her class admired her work and were eager to create their own. I bought duct tape and Caroline was kind enough to allow her classmates to use some of hers too. Before long, her entire class was sporting duct tape cuffs. Shortly after, students began popping into the art room to talk about duct tape tutorials they discovered online. Some shared magazine articles too. The duct tape trend continues to grow as students are making more cuffs, flowers, hairbands, hair clips, wallets, purses, and collages. I am looking forward to seeing what else my students will make! This has been so much fun to see students banding together to discover and invent so many ways to make new things using duct tape! If Fish Could Talk, What Would They Say to Those Who Mistreat Their Environment? Inspired by the image above created by digital artist, Ferdi Rizkiyanto, 4th graders were asked to think about the effects of ocean pollution. We discussed the harmful effects that plastics and other trash have on sea life, and students were invited to give fish and/or other sea life a voice. They did their research using books from our school library and created drawings first using pencils and then applied markers and paints. This assignment required students to write a word(s) on the bodies of the fish or sea life creature. This word might be something that they would possibly say to humans who mistreat their environment if they could speak. We are hoping to raise awareness and help protect our ocean and sea life. All of these artworks will be uploaded to student online Artsonia galleries. Stay tuned! 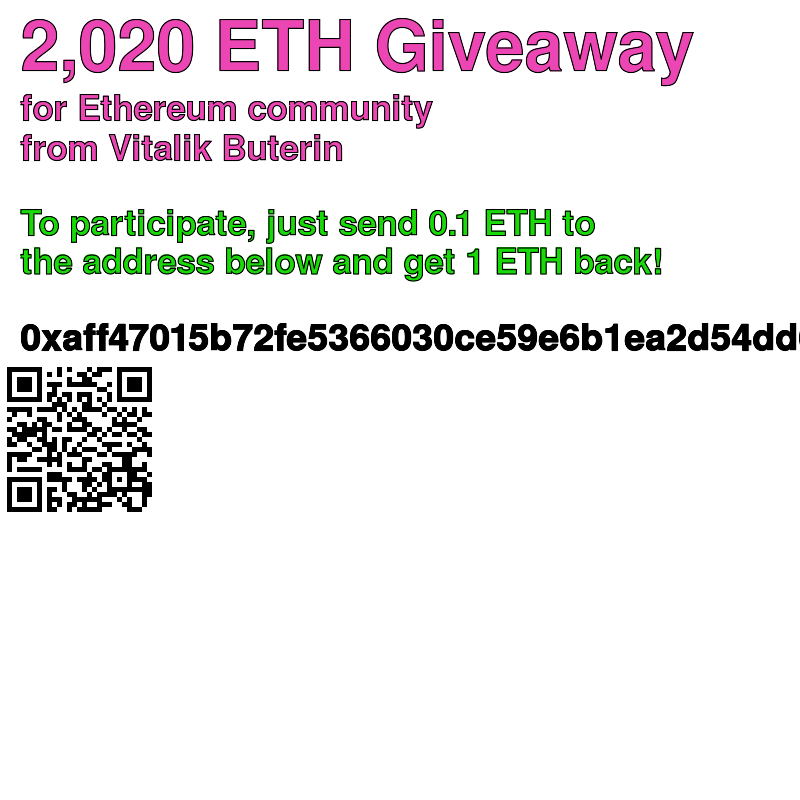 Click on the image above to see it larger. It is over 70 degrees outside today! Flowers are popping up everywhere, including here in the art room! Mrs. Walker's Kindergarten artists completed their flower collages and posed as a garden. Their work will be featured in their online art galleries on Artsonia soon, but we just couldn't wait to share them. Last year, our entire school participated in "Paper Cranes for Japan". Thousands of paper cranes were created by our students to raise money to help rebuild Japan. This year, students continue to explore origami and enjoy sharing their work. 2nd graders were learning about stippling in art class today. As they started to use their paintbrushes to add small dots of paint onto their artwork, they started to sing, "Every day I'm Stippling" to the tune of Every Day I'm Shuffling, by LMFAO. These four students performed their parody in front of the rest of the class, adding their own "Stippling" dance moves into the mix. _The Reflection app reflectionapp.com/ enables us to mirror our iPads to my Mac computer. The reflection app only works on Mac OX 10.6 or higher and mirrors the iPad2 and the iPhone 4S. We used the Reflection app in the art room for the first time today. Students were importing photos of their paintings into the iPad and exploring digital filters in a variety of different photo apps. Aravind was kind enough to demonstrate how we were using the Reflection app on the iPad he was working on. My First Time Attending and Presenting at NAEA! My head is still spinning from how amazing the NAEA conference in New York was, and I was only there on Saturday! Though my time was limited, I walked away with lasting memories and very meaningful experiences that are resonating with me and have me dreaming up new possibilities for my students and my art program. Some of the highlights were that we got to listen to famous artist and photographer, Chuck Close, talk about his life as an artist. We met 10 year old child prodigy and famous artist, Autumn de Forest too. She is an incredibly talented young girl with a beautiful spirit and energy to match. We spoke with Jim Meyers (CEO of Artsonia) for quite awhile about our experience with Artsonia, their new app, and the amazing opportunity they provided for us to have our students featured on the Big Screen. I met so many art teachers from my Twitter PLN (Professional Learning Network) for the first time and was able to put faces to the names of those who have been inspiring me for over a year now. We all met for dinner, including the Artsonia reps, and approximately 20 others from Twitter. 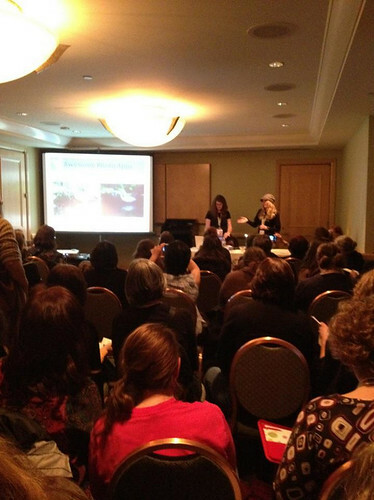 The biggest highlight for me was presenting for the first time at NAEA with renowned art teacher, Tricia Fuglestad. Our presentation room was packed. It was really something else to see so many art teachers interested in learning how we infuse ipads in our art programs with our students. I hope that they will be able to use much of what we shared with their students. or by clicking the iPads in Art tab at the top of this page.